Ms President US speakers announced! Many more speakers will be announced soon on the Ms President US facebook page. 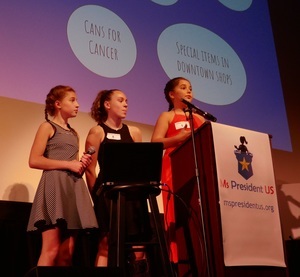 The mission of Ms President US is to inspire and prepare girls to aim for the highest civic leadership positions and know they can achieve them. Ms President US is qualified as a charitable organization under Section 501(c)(3) of the Internal Revenue Code. EID: 82-2508937. Contributions to Ms President US are tax-deductible to the extent permitted by law.